Many years ago, Lieutenant Colonel Ferdinand Foch, the future Maréchal de France, taught his students at the Army War College that the essential question to be posed in Strategy, whenever someone is tackling a problem, was “What is it all about?”. In order to deal with the strategic implications of “Climate Change” in the maritime domain, therefore, we should always bear in mind this question. To start, the need exists to consider the implications of the term “Change”: those who are not affected will take, in the best of cases, a mild cultural interest to the subject, and will consider all related data and information as they appear, bare statistics; they will seldom understand how much “blood and tears” they contain. Only if, among the casualties, there will be a personal acquaintance, the statistics will be considered as they often are, a tragedy, and they will feel affected and really interested in the issue! The first strategic aspect to be considered, therefore, is that any action aiming at containing, mitigating or offsetting the consequences of climate change will encounter an opposition by those who are favored by the change itself, and fear any action aimed at reducing their “positional advantage” thus gained. Any set of actions related to climate change will therefore need to be considered as a “Strategic Approach” – not simply a plan – in order to consider that some opponents will counter us. It will be difficult, therefore, to understand when populations affected by these slow developing changes will find their condition unbearable and will act, by migrating or devoting themselves to criminal or adversarial activities, to find a way to survive. History, on this subject, might be most useful. In fact, it takes some effort, but it is possible to note that there are already in history some indications of what these phenomena, when they occurred in the past, have caused to mankind. But why we have not gone in depth to correlate events and climate changes? The main reason is, probably, that people tend to forget tragedies and avoids analyzing them; this has prevented many historian from correlating some events which plagued Europe in the past with all possible root causes, including, among them, also past climate changes. The most striking instance is the large amount of mass migrations from the North, as well as from the East, which have deeply transformed our societies, throughout the centuries. Albeit common wisdom tends to consider that mass migrations took place by land, several among them used the sea: old accounts about the so-called “People of the Sea”, invading Europe, as well as the Viking saga show us that mass migration was not limited to crossing continents by land. There is no direct evidence, however, whether these past invasions were prompted by climate changes, by an unusual demographic growth or, more probably, by a mix of both effects. When dealing with past human actions of “Climate Engineering”, producing effects on other neighboring areas of the world, some correlation appears to be possible. One suspicion, in fact, exist, when dealing with the end of the Roman Empire: Rome had transformed North Africa into the “Garden of Europe”, by cultivating large extensions of territory, as Sicily was not able to supply the empire with enough grain any more. Descriptions of German climate, available through history, are indeed explicit on the fact that life in Northern Europe was most uncomfortable at that time, due to the cold climate. The effect of the intensive cultivation of Northern African lands might have been a reduction of temperature in Northern Europe, thus forcing German tribes to migrate South and to cause the crumbling of the Roman empire. 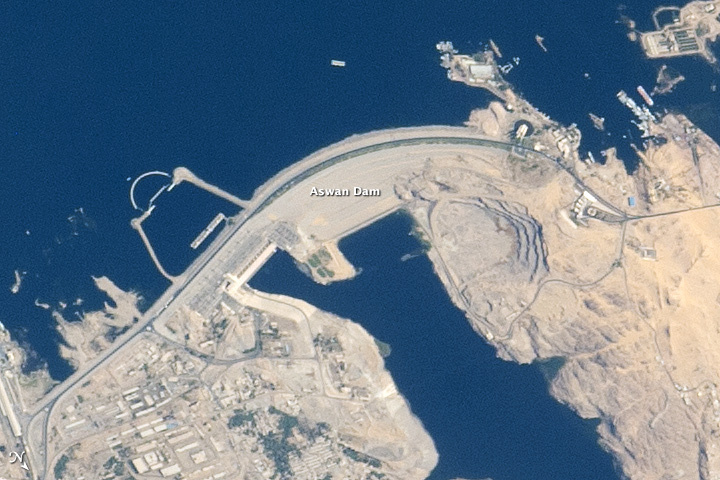 This is, of course, an assumption, which is – nonetheless – indirectly confirmed by the present reluctance, by some European Nations, to financially support ambitious projects aiming at increasing the cultivable land in that region, especially in Egypt: the projects of the Aswan Dam, as well as those attempting to fill with water the Depression of Al Qattara have been met, so far, with diffidence by European financers. Some scholars, too, affirm having seen a correspondence at Heads of State level asking the Italian government to stop its program of re-forestation, precisely to avoid a significant drop of temperature in Germany. Only a hint, though, is available on the fact that our government was aware of the consequences of such a measure, and it can be drawn from a statement by Mussolini, who said that “the main aim of the reforestation of the Apennines mountains was to make the Italian climate colder”. This sharp difference is due – as scientists have told us – to the beneficial effect of the Sahara desert, which has caused the “Thermal Equator” to move northward significantly. Should it return closer to its geographical position, climate in Northern Europe would become more similar to the Canadian climate, with much lower temperatures, as the first French colonists, who left Bretagne and landed there in the XV century, quickly discovered, much to their distress. The Vinland map / chart is purportedly a 15th century Mappa Mundi, redrawn from a 13th century original. Drawn with black ink on animal skin, if authentic the map is the first known depiction of the North American coastline, created before Columbus' 1492 voyage. Most scholars and scientists who have studied the map have concluded that it is a fake, probably drawn on old parchment in the 20th century. If we are aware of climate change consequences on recent events, we should also be capable of pointing out similar connections between climate and history, and assess the future strategic consequences of present climate trends. Summing up, the geopolitical consequences of climate changes, which have apparently taken place in the past, have been swept away from the collective memory, as mankind hates changes, and prefers oblivion, thus being caught by surprise, when they occur. The study of the influence of climate on foreign relations attracts little interest among public opinions. But decision-makers have always been interested in climate, due to the fact that it can either disrupt or facilitate operations. Napoleon III said that “if the great French astronomer Urbain Le Verrier had been able to discover the planet Uranus, he could have certainly been capable to forecast also climatic conditions in Crimea, where France was engaged militarily” . This interest on “Climate Forecasting” is shown by the most recent strategic documents, most concerned on this subject. It is interesting to note that climate change has been mainly seen as a threat by the most relevant strategic documents, while only recently some thoughts are available on the other side of the coin, i.e. Poor people are already at high risk from climate-related shocks, including crop failures from reduced rainfall, spikes in food prices after extreme weather events, and increased incidence of diseases after heat waves and floods. Without rapid, inclusive and climate-smart development, together with emissions-reductions efforts that protect the poor, there could be more than 100 million additional people in poverty by 2030, particularly in Africa and South Asia. This approach is shared by many international Institutions, as, for instance, the World Bank, whose November 22, 2014, report depicts “Climate Change” as a threat multiplier. The subsequent Report of 2008 is even more explicit and detailed, when it says: “In 2003, the ESS already identified the security implications of climate change. Five years on, this has taken on a new urgency. In March 2008, the High Representative and Commission presented a report to the European Council which described climate change is a “threat multiplier”. Natural disasters, environmental degradation and competition for resources exacerbate conflict, especially in situations of poverty and population growth, with humanitarian, health, political and security consequences, including greater migration. Climate change can also lead to disputes over trade routes, maritime zones and resources previously inaccessible” . More recently, in 2016, the EU Global Strategy stated that “Climate change and environmental degradation exacerbate potential conflict, in light of their impact on desertification, land degradation, and water and food scarcity”. The grand strategic effects of climate change could not be highlighted more explicitly. It is worth asking ourselves why the prevailing attitude expressed by most among these documents is a widespread fear of climate change consequences. The reply is that the common feeling is that these changes might run against pursuance of the key aims of Western Countries, most careful to preserve their populations’ welfare. This fear is therefore related to our strategic aims. On this subject, the European Union Council was most explicit in defining them, when it issued in December 2013 a document saying: “An effective Common Security and Defense Policy helps to enhance the security of European citizens and contributes to peace and stability in our neighborhood and in the broader world” . Self-interest has always plagued our continent, in international relations, and this is nothing but the most recent instance. In Italy, a phrase of our Prime Minister in 1914, who spoke about the “Holy self-interest of the Country” is in every history book, and other Nations are not thinking differently! We tend to forget that humanity is like the crew of a ship: “all hands” survive, win and thrive together, or they all die, should the ship founder. From what has been said, so far, it should be clear that climate change is like globalization: it favors some areas of the world, whose opportunities of improving their condition increase, while in others it causes tragedies, famine, diseases and death. As we are on the side of those who might lose our status, it is logical that we take, more or less a pessimistic approach. Big disparities, indeed, exist even now, and they are not only due to human and governments’ misfits. Those who are damaged by climate have always attempted to offset their unfavorable situation, either by migrating in masse or by trying to find out other ways of living – mostly devoting their attention to criminal or adversarial activities, as piracy, smuggling or to warfighting. In fact, it should be understood that these populations have few alternatives to such kind of conduct. It is clear that, as always, defense, containment, mitigation and aid to development are the eternal remedies, in order to contain and offset the dire effects of these disparities. What needs to be highlighted, though, is which are the strategic consequences of climate change in the maritime domain. More specifically, a French strategist, Hervé Coutau-Bégarie, identified three key functions of the sea: source of riches, avenue of communications, and mean to project power. He mentions also a fourth, the sea as environment of leisure. But the most important aspect, as another French strategist, Patrick Hébrard, pointed out, is that “sea is a common good for mankind, due to its influence on our planet, on climate, and – to say it in short – on its survival, with the consequent need to protect it”. Having said that, the first and less evident effect of climate change on the maritime environment is the possibility of a significant variation in sea trade patterns, due to the new opportunities offered by the reduction of the polar ice cap. This is somehow similar to what has been recently caused by piracy in the Horn of Africa: merchant vessels followed in increasing numbers the “Route of the Cape” and transits through the Suez Canal dwindled, thus impoverishing Egypt. Trade, in fact, has always followed the “Lines of Least Resistance”, in order to minimize costs and risks. This happened already in the past, after the Ottomans seized Constantinople, promptly renamed Istanbul. The high taxes and severe limitations imposed on trade following the “Silk Road” were one among the motivations of the search for another road to connect Europe and Asia. Colombus said precisely this, when he declared his intent to “Seek the Levant through the Ponent”, even if the new “Road to India” was found only later, by the Portuguese Vasco Da Gama, who circumnavigated Africa and reached the Indian subcontinent for the first time, through the new route, in 1498. The result was the impoverishment of the Mediterranean region, bypassed by this new flow of trade, at the advantage of the Atlantic coast of our continent. Based on this experience, Mahan, said: “Except as a system of highways joining country to country, the sea is an unfruitful possession. The sea, or water, is the great medium of circulation established by nature, just as money has been evolved by man for the exchanges of products. Change the flow of either in direction or amount, and you modify the political and industrial relations of mankind”. 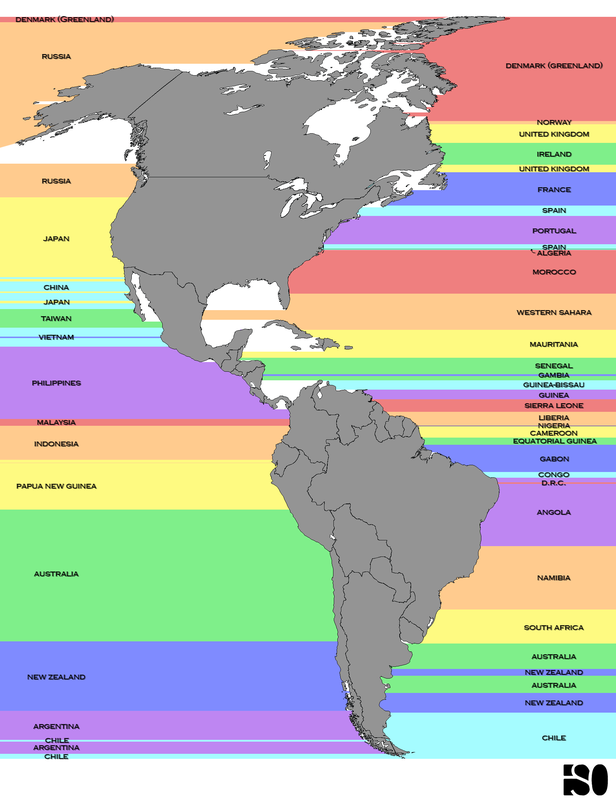 The other, not less striking effect of climate change in the maritime domain, is connected to an increase of the sea level. Any significant change in geography causes disputes: this situation is similar to what happened in history any time a volcanic island surfaced from the sea: disputes arose among Nations, willing to exploit this significant change to geography, in abeyance of the international rule involving any “insula ex mare nata”. 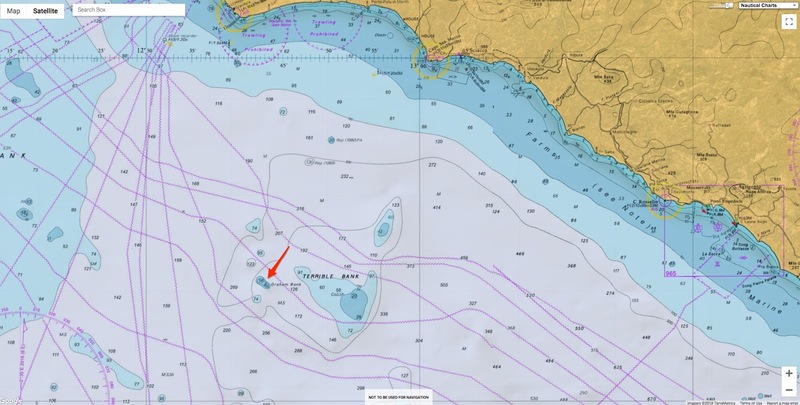 Just south of Sicily, for instance, a volcano started erupting in 1831 and the lava piled up in such a way that a small island, only 4 square miles wide, appeared on the surface of the sea. Immediately, a British warship landed on the island, in spite of the hot temperature of the soil, named it “Graham island” and claimed its possession, notwithstanding that it was rather close to the Sicilian coast. It is not by chance that, in British Admiralty charts, the shallow waters area where the island appeared is still named as “Graham Bank”. Even if the same decrease in size of the island had been notified to the government of Naples, the Prime Minister sent a warship too; the captain, Corrao, planted a pole with the flag of the Bourbons and renamed it “Isola Ferdinandea”, in honor of king Ferdinand II. Of course, rising sea levels produce a different effect, but this does not exempt us from considering what disputes might arise from the disappearance of previously existing lands. But what happens when this kind of phenomena takes place at a much lower speed, as it happens due to a rising sea level caused by climate change? And when a territory is abandoned by its population, which kind of disputes arise? It is difficult to predict what could happen, but one thing is certain: the geographic area affected will become very different, as compared to the past, carrying with it deep economic changes. In Italy, a similar phenomenon occurs quite often, due to the rise or the foundering of coastal land, known as “bradyseism”. 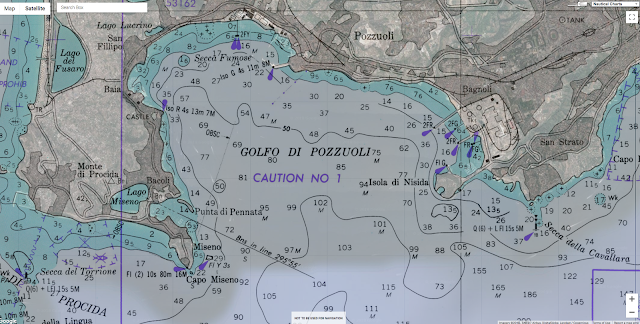 In 1983, this happened near Naples, in the area of Pozzuoli, and the harbor of this town became impracticable for some years, until the land level went down again. Also, in various parts of our Nation, in Baja and along the Adriatic coast, where the coastal town of Egnatia once existed, it is possible to note, well underwater, what remains of once thriving ports and towns. Going back to our times, as a scholar has pointed rightly pointed out, “75% of all people living in areas vulnerable to sea level rises are in Asia, with the poorer nations most at risk”: indeed, the Maldive islands are already affected by the rise of sea level. Loss of coastal land, in a densely populated area, as most areas in Asia are, leads to impoverishment, loss of infrastructures, and to mass migrations inland. Inside Europe, too, the economic consequences for the Netherlands cannot be underplayed; even if it would be sufficient to raise the existing dams, protecting much of the territory, it cannot be forgotten that some ports of this Nation are the most active terminals of Northern European sea trade. This, in turn, might favor the Mediterranean region, at the expenses of the Atlantic coast of our continent. The maritime domain is not exempted by consequences of climate change, whose effects on world economy might become relevant. It will be, though, a slow, incremental phenomenon, but it requires capabilities to cope with this new situation. Apart from instability, disputes, wars, migrations and hostile acts, climate change will profoundly affect world economy, also in ways we have not fully identified yet. This will be most pronounced at sea, as this environment is full of riches, and many Nations are increasingly devoting efforts to exploit them. As “sooner or later, climate changes history” , it is better to think about it now, and take all measures aimed at containing and preventing the expected effects, rather than being surprised when they become apparent. These measures should include capability developments, in order to put them into effect: Navies have definitely a role in managing problems posed by climate change, beyond their participation to joint warfighting activities. Their tradition in the domain of “Deep Water Policing” is well established by history, and goes back many centuries. It should only be revived, lest Western Nations might find out that others are more effective and powerful than we are. Last but not least, when dealing with mitigation of climate change effects, Navies have also a role in setting a good behavioral example: among others, warships should not be a source of pollution, when they operate. The “Green Fleet” project, started by the Italian Navy, is a most relevant instance of how Nations keen to limit climate change effects should behave.